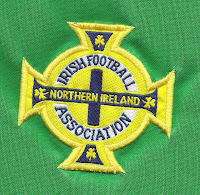 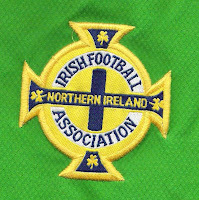 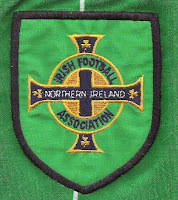 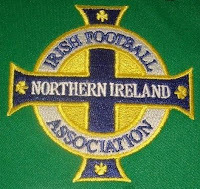 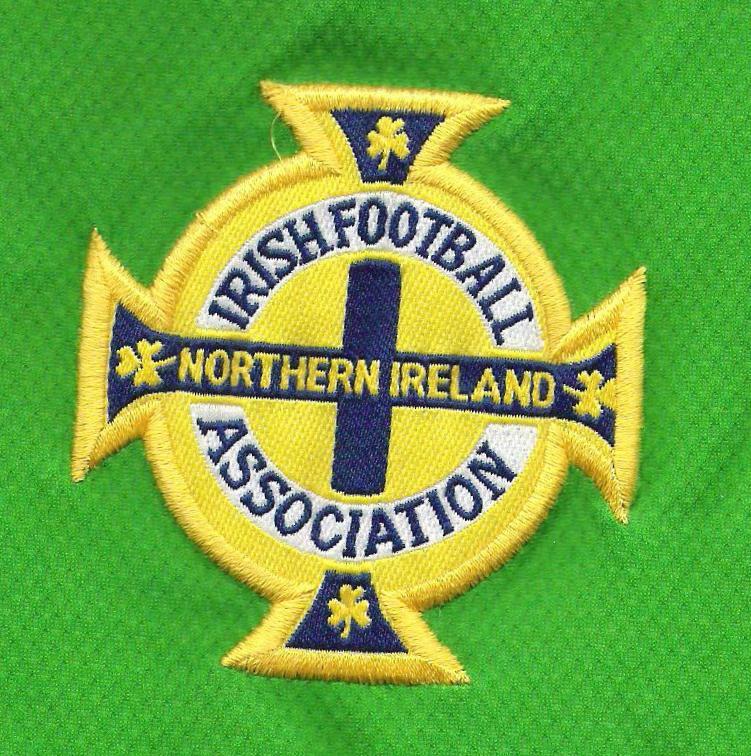 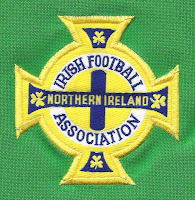 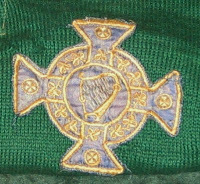 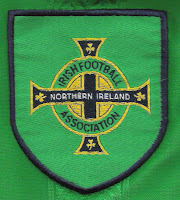 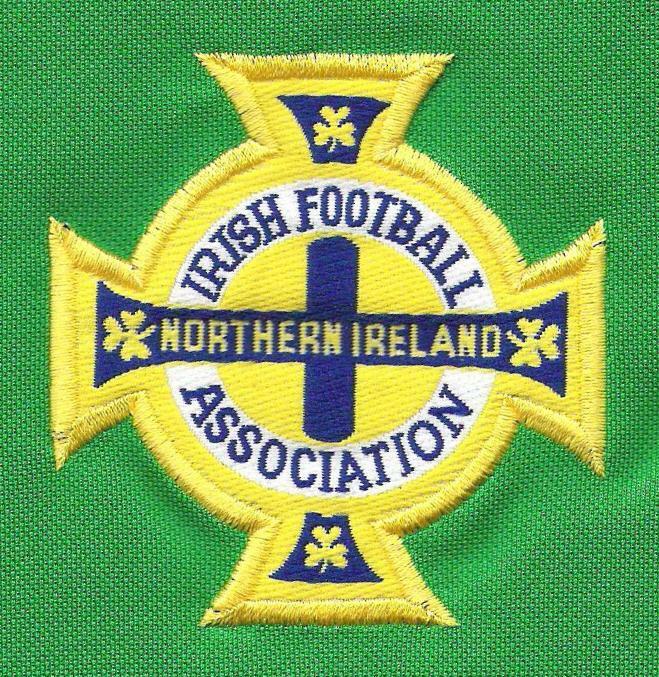 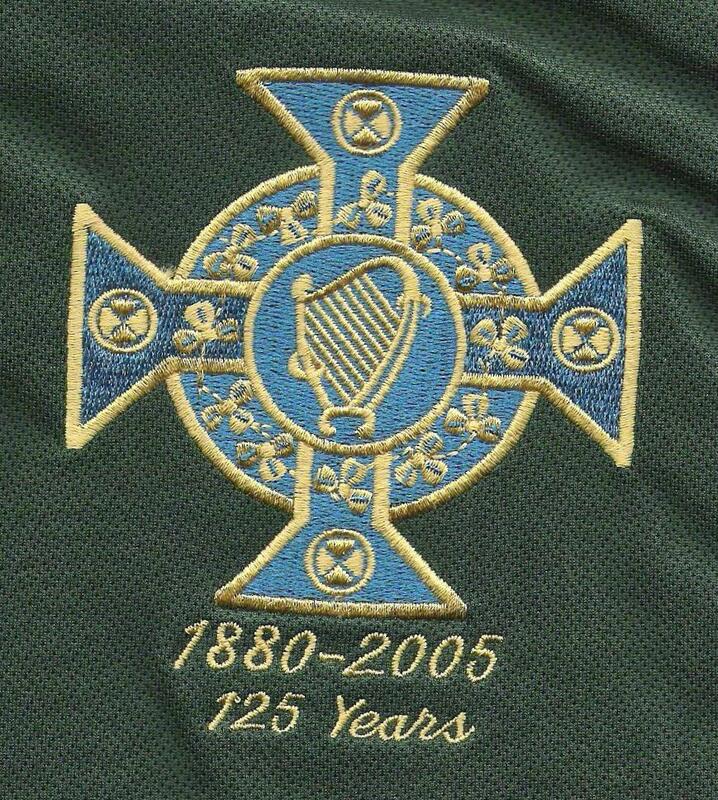 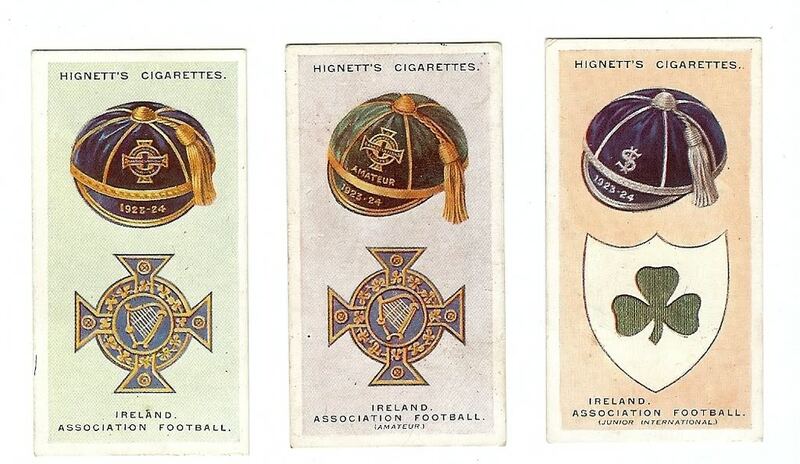 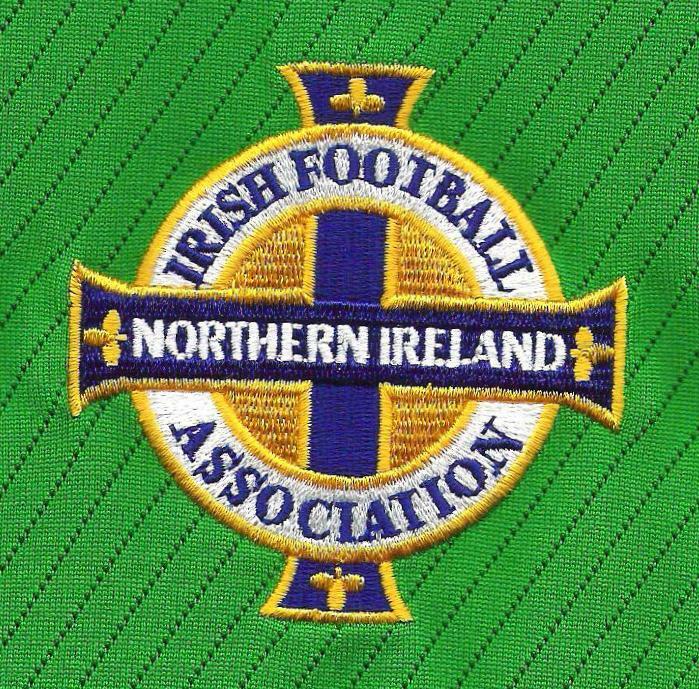 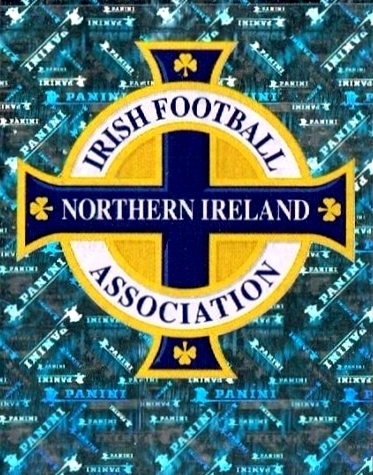 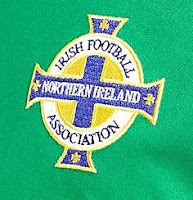 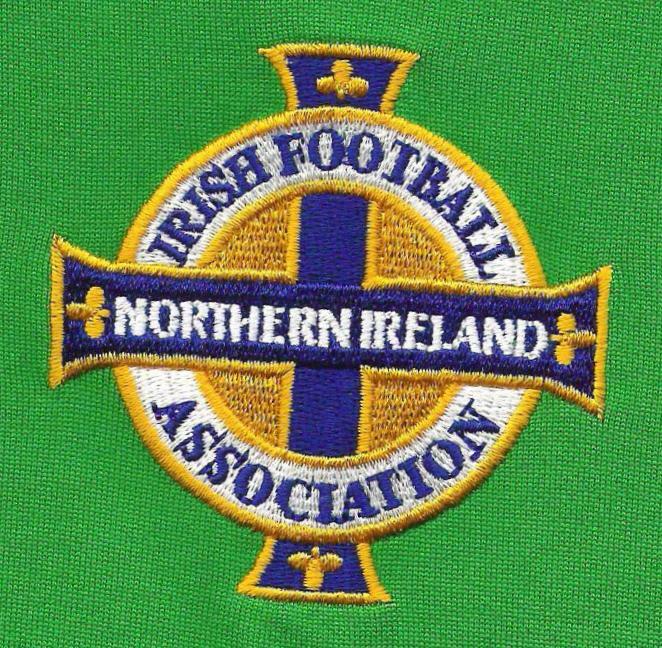 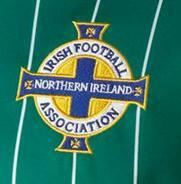 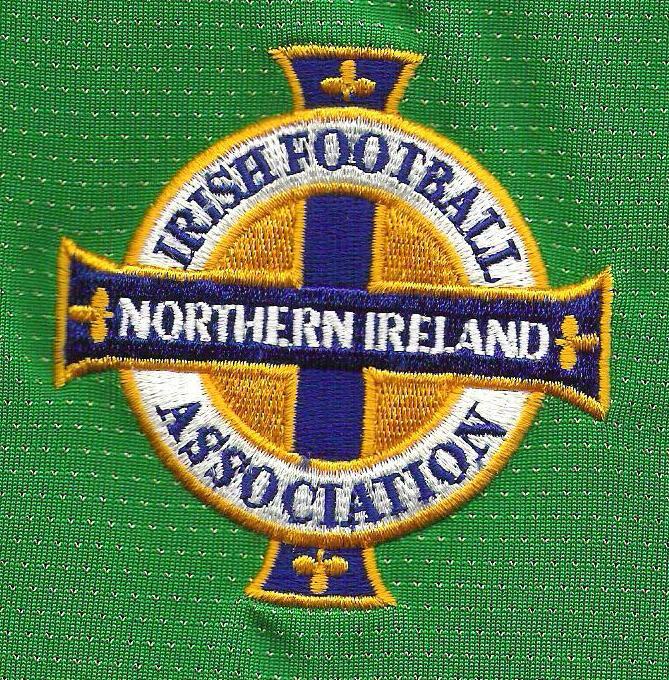 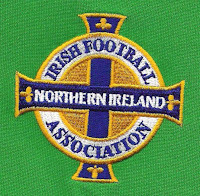 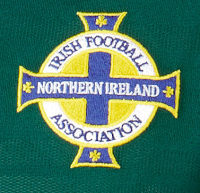 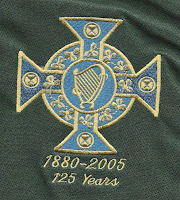 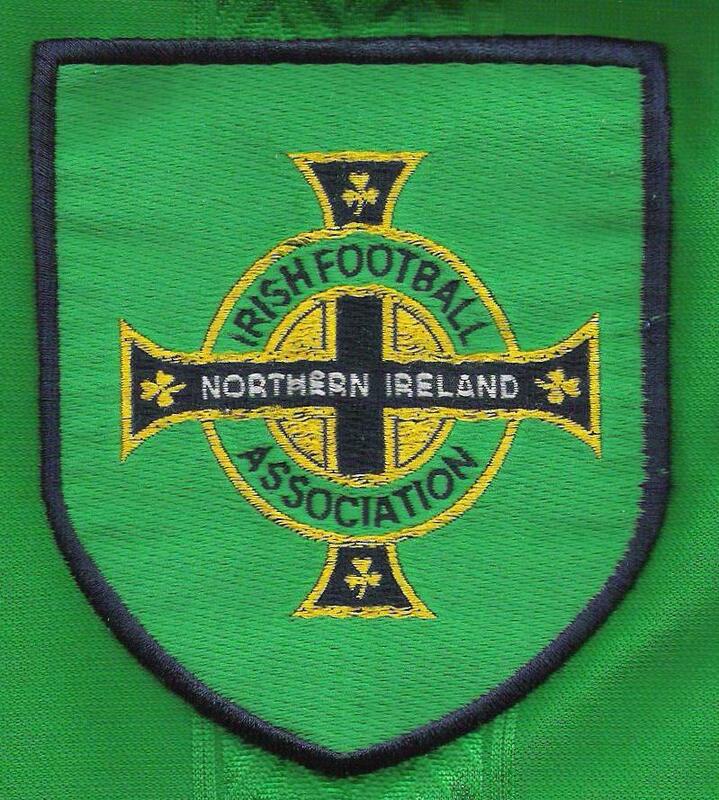 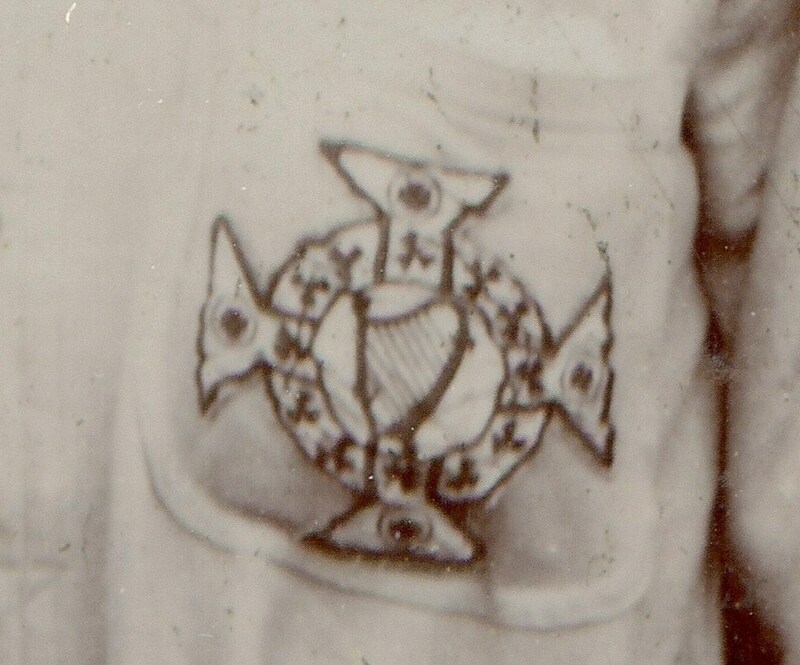 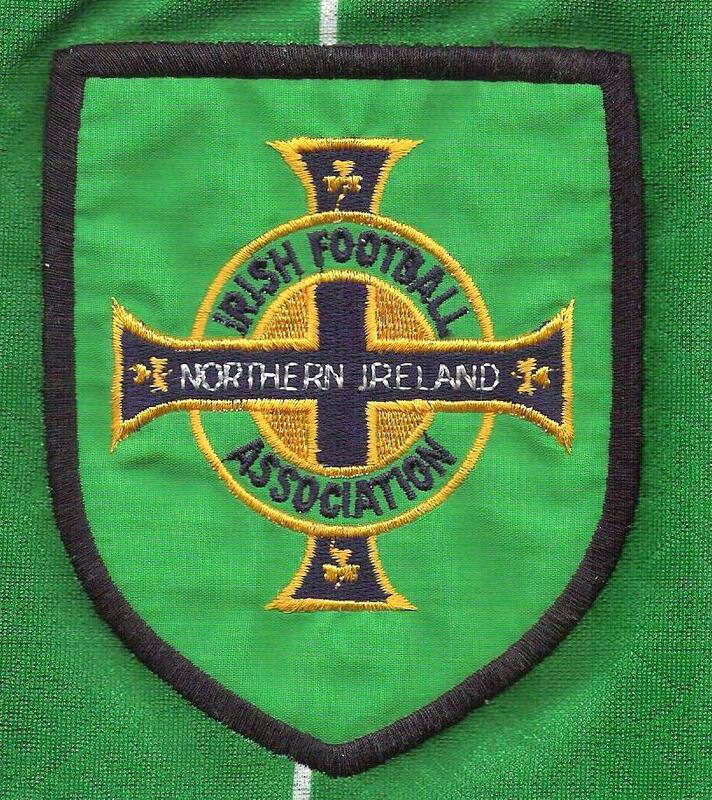 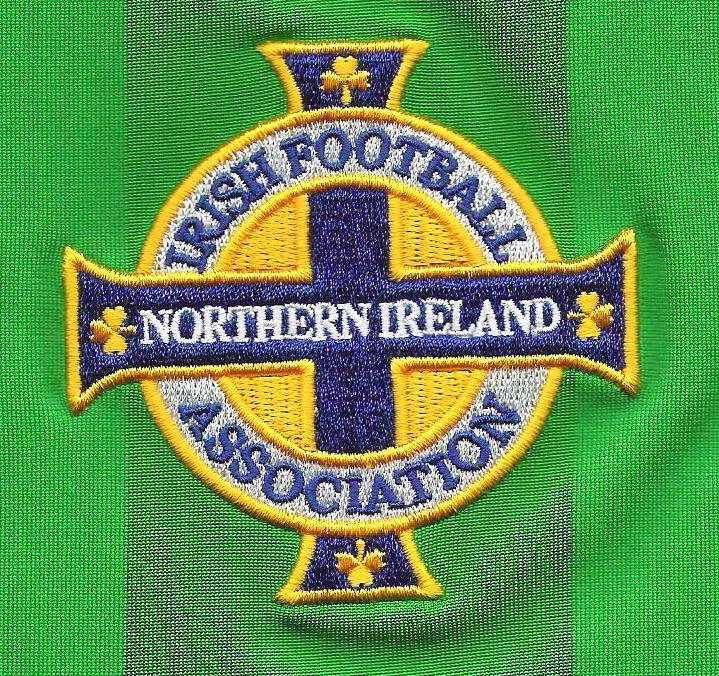 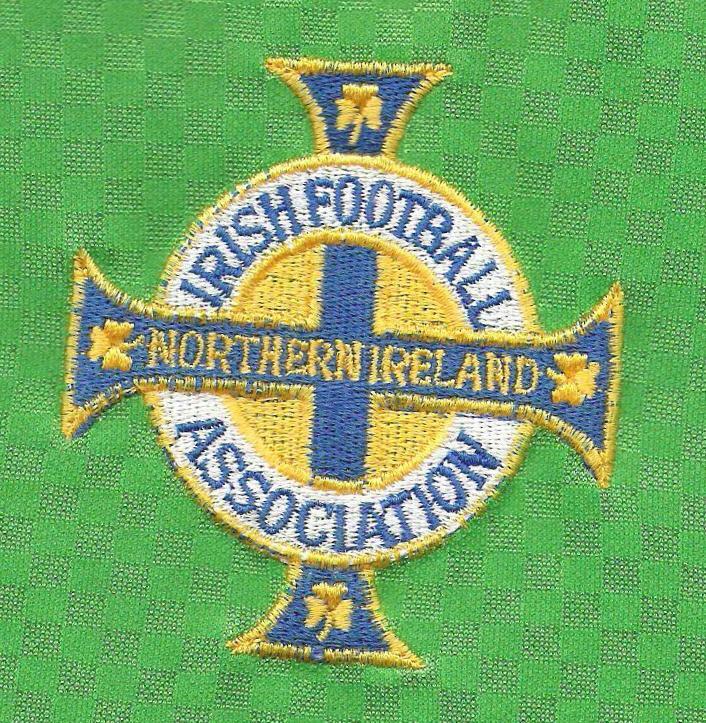 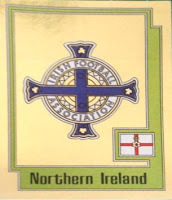 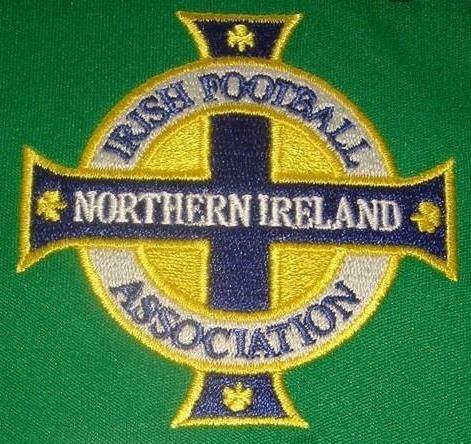 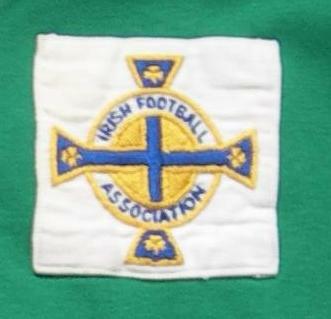 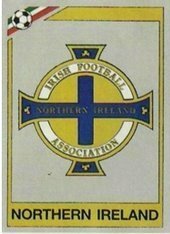 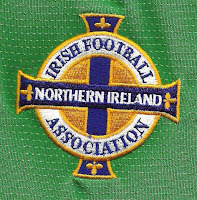 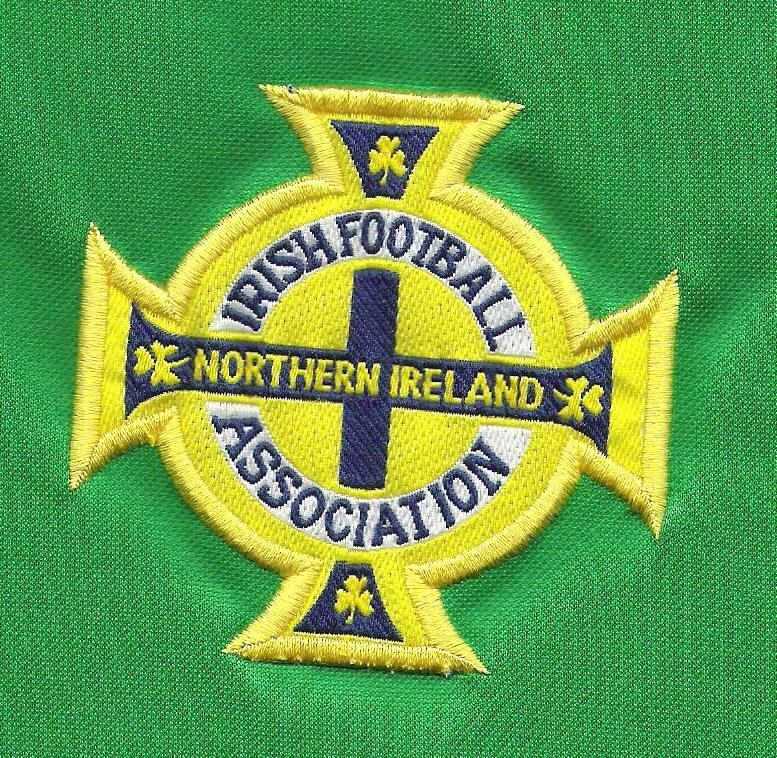 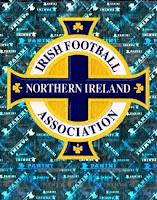 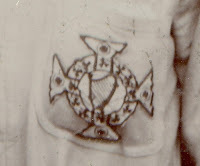 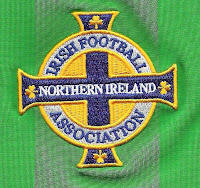 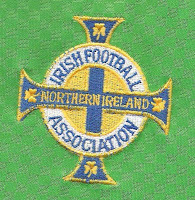 * While the shamrock style badge was worn on the shirts in the 1930s and 1940s, the IFA continued to use a Celtic cross style badge for other purposes. 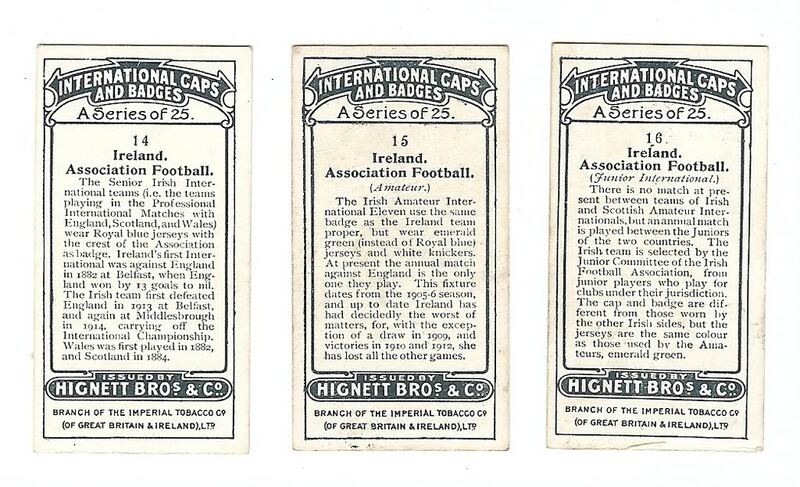 See the caps illustrated below. 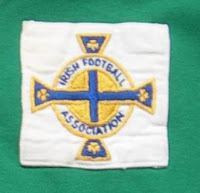 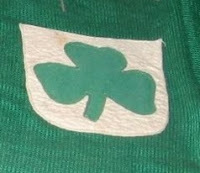 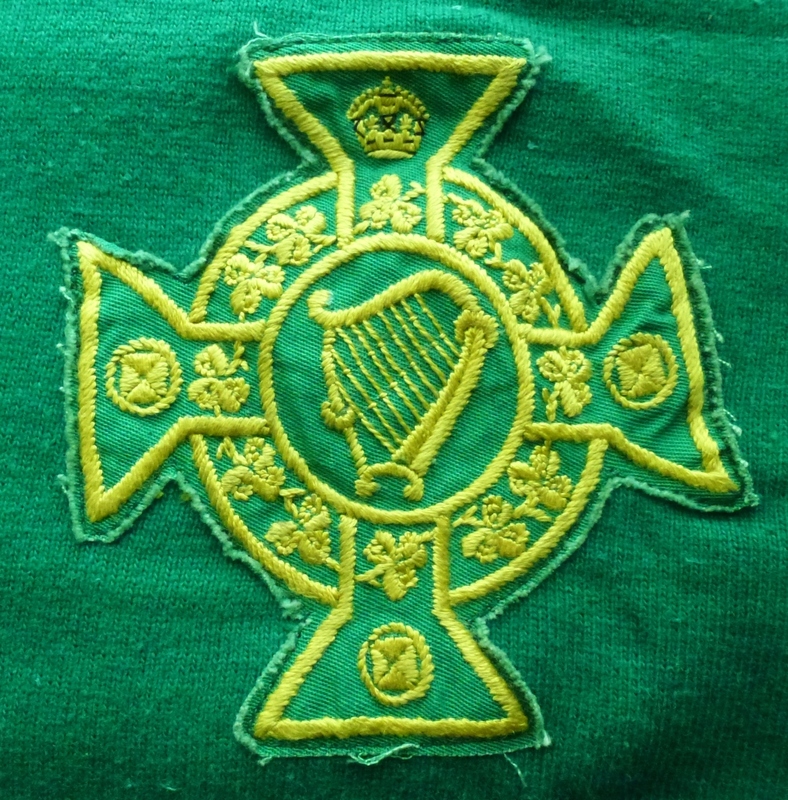 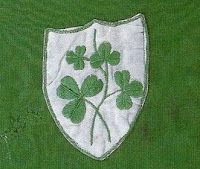 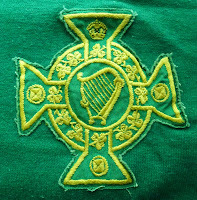 As noted below, the Junior international side wore a simplified shamrock badge for many years rather than the celtic cross style badge worn by the senior team. 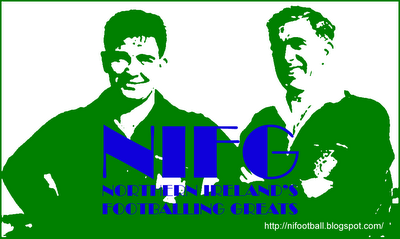 If you can provide better or additional pictures please get in touch. With thanks to Roy Cathcart, Francis Heaney, Barry Rojack and Alan Crossley.